Hey big man, I dig the tank-top jumpsuit, but let’s go easy on the rouge and lipstick. Wladek Zbyszko (November 20, 1891 – June 10, 1968), real name Wladyslaw Cyganiewicz, was a Polish professional wrestler and strongman. 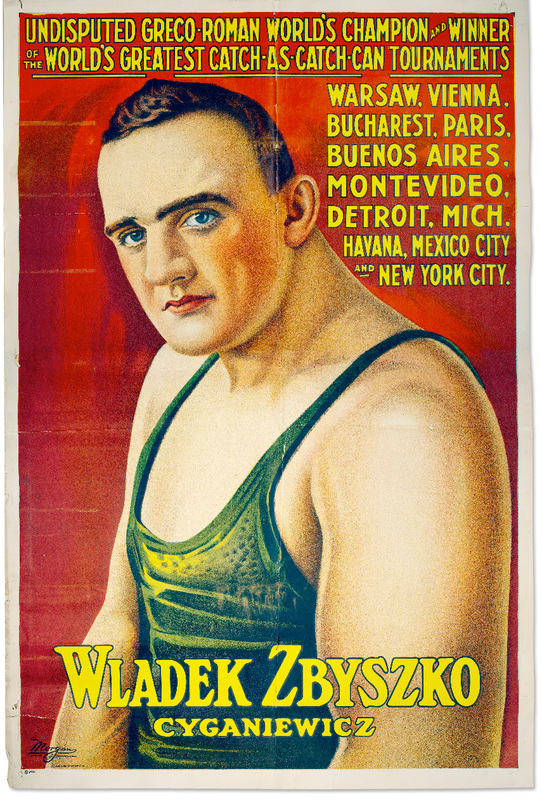 Zbyszko claimed the Boston version of the AWA World Heavyweight Championship after defeating the Ed ‘Strangler’ Lewis in a non-title match on June 5, 1917 in San Francisco. On July 4, 1917 in Boston he lost to Ed Lewis, only to defeat him again on December 22, 1917 in New York. He then lost the World Heavyweight Championship to Earl Caddock on February 8, 1918 in Des Moines, and lost again to Ed Lewis on May 19, 1918 in New York. In the same month, he was briefly detained at Ellis Island and photographed by chief clerk Augustus F. Sherman.